Wondering how to make iced coffee at home? If you have been reading my blog for a while, you’re probably aware that I’m a coffee lover. Before I even wake up in the morning, my husband has loaded my Keurig with my favorite coffee and turned it on. When I stumble down the stairs at 5:30 am, one of the first things I do is start my first cup of coffee. If you want to talk to me in the morning, you really need to wait until after I’ve had two cups of coffee. I refuse to be responsible for anything I’ve said or done before my required morning coffee. I received product for this post. This post contains affiliate links, and I will receive compensation if you make a purchase after clicking on my link. When it is already hot out when I wake up in the morning, I often turn to iced coffee instead of hot coffee. I used to run to our local coffee shop for my iced coffee fix but that can get really expensive fast at $5 a day. Once I learned how to make iced coffee at home, I realized how much time and money this could save me. Not only does it save time and money, the coffee tastes so much better. Many places that make iced coffee don’t start with real coffee, they start with syrups and concentrates instead. When I want coffee, I want real coffee, brewed fresh for me and not squeezed out of a giant plastic bottle. The best way to make iced coffee at home is with a Keurig, in my opinion. My Keurig brews one cup of coffee at a time so it is always made fresh just for me. There is no way a cup of coffee or iced coffee is going to taste good if you use coffee that’s been sitting in a pot for two hours. Not only is it important to start with fresh coffee, it’s important to start with the right coffee. Not all coffees are created equal when it comes to iced coffee. A traditional K-Cup is made to brew hot coffee. It’s just the right amount of coffee for just the right amount of water. When you brew iced coffee, you are brewing it over ice. As the ice melts, there is more water in your iced coffee than when you started. 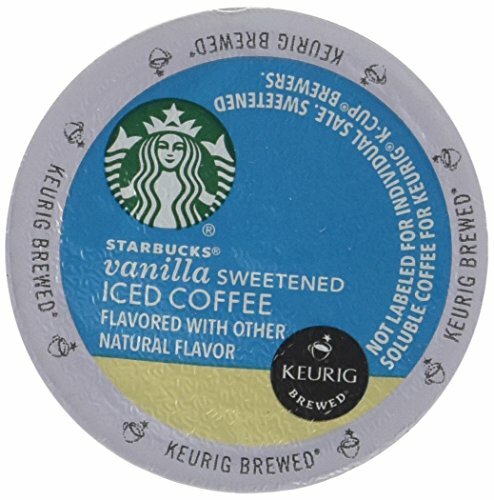 Brew Over Ice K-Cups have more coffee in them to compensate for the extra water you’ll have as the ice melts. Now here comes the fun part. I love flavored iced coffees. I generally choose Hazelnut or French Vanilla as a base and then add syrup and milk or cream to make the flavor all mine. There are lots of great coffee syrups you can buy. You can also add chocolate or caramel syrup that the kids put on ice cream. Just put a bit in the bottom of your cup with the milk or cream and fill the cup with ice. Iced coffee always tastes better to me topped with whipped cream and drizzled with flavored syrups. If you really want to have fun, top it with a maraschino cherry too. The kids love to top their iced coffee with a scoop of ice cream and crumbled cookies. While that’s a bit too sweet for me, they enjoy iced coffee as a dessert rather than a way to wake up in the morning. Now that you know how to make iced coffee like McDonalds and other coffee stores, you won’t have to run out to get that same great taste. I make iced coffee all the time...really love the flavored syrups! Love iced coffee, that looks delish! That looks like something my husband would love to have. He loves iced coffee. We use our Keurig every day, and sometimes for iced coffee. But I didn't think about using syrups to dress them up a little, I'll have to try that. Also - you made my day. I had no idea they had lemonade! I haven't run across them yet in our stores, but I'll be looking more seriously now, that would be awesome! I do have a Keurig and LOVE LOVE LOVE it! I've never tried the iced coffee though. I don't know if they sell it in my area. 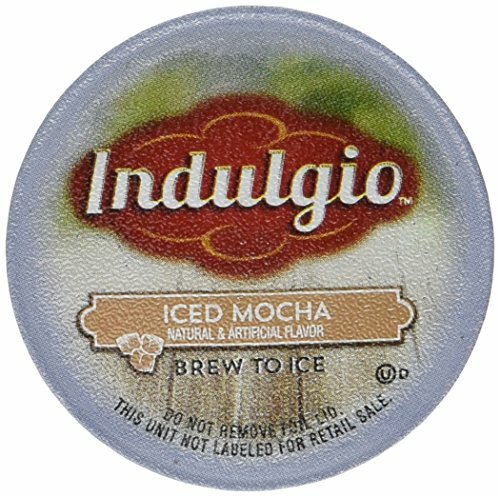 I love iced coffee, but don't have a Keurig. I never realized you could make so much with it!